Mile 36 Lodge i Kota Kinabalu, Malaysia: Reservér nu! 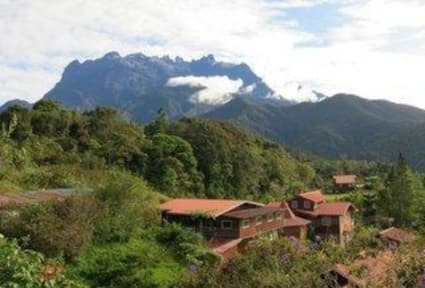 Mile 36 Lodge is sited in an attractive location, steps away from the border to the Mount Kinabalu National Park. 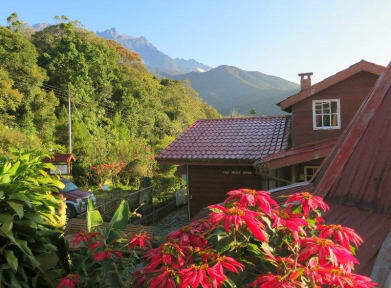 Stayers enjoy spectacular views of Mount Kinabalu in the front lawn of the Lodge. The grounds of the Lodge are larger than most lodges and it is a peaceful nature retreat. Within the compound, one can stroll amidst many flowering scrubs and hear the melodious strains of the birds. Sited at an altitude of 1,500m, the air is cool, between 18°C to 25°C. Mile 36 Lodge is a great place for leisure, gatherings, rest point as you do bird and flower watching activities. Why Stay in Mile 36 Lodge? * clean and pleasant surroundings. You can choose to stay in any of the 4 buildings in various designs. Choose either the European, Contemporary or Local kampong styled rooms.